I wanted to share a post with you all about a project my brother has just launched on Kickstarter! Lewis, by night, is a freelance web designer/developer and over the christmas holidays we were discussing how amazing it would be for him to come up with a subscription box that combines his love of tech with photography. 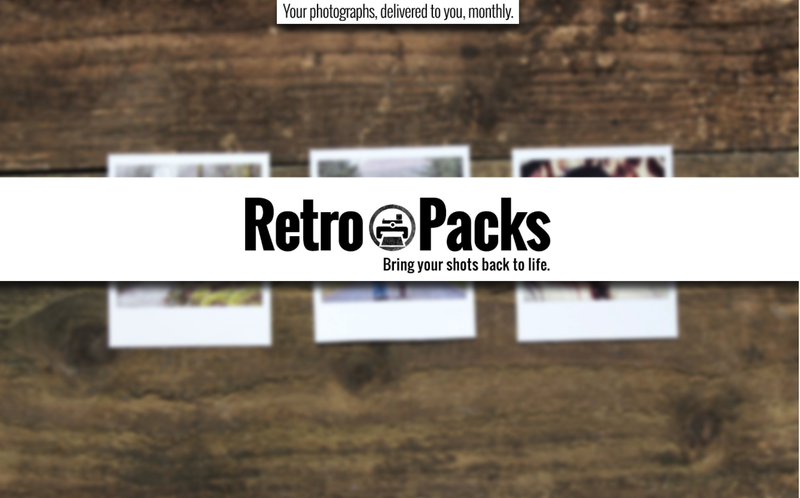 He came up with the great idea of Retro Packs- a monthly subscription box that contains three of your most liked/commented Instagram photos! "I love photography and I love to have my own photos around the home. But I noticed something that's changed in the past few years about the way that we appreciate photographs and it started to bug me. These days, the majority of photographs taken, say on a smart phone, go to one place, Instagram. Instagram says that there have been 30+ Billion photos shared through their app, with 70 million average photos a day. That's mind boggling! Don't get me wrong, I love Instagram as much as the next guy, and I use it almost every day. The community that you're part of and the feedback you get for your photos is part of what makes Instagram awesome. However, I do feel that we've kind of lost touch with the original premise of photography these days and it could be suggested that for the majority of the time, photographs are now taken for the amount of likes we think they'll get, rather than for appreciation of what's actually in the frame. 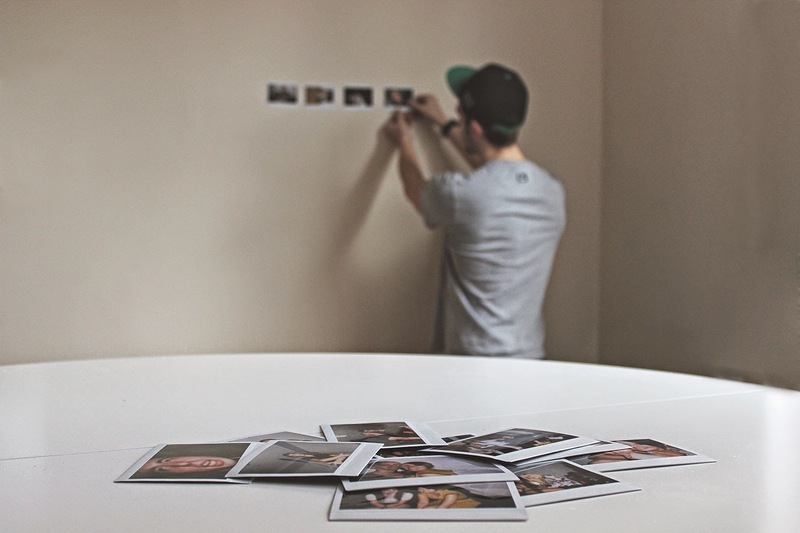 Photographs are personal, meaningful and, most of the time, beautiful snapshots of a part of the past. To see their level of importance as a correlation with their number of likes on Instagram, just doesn't feel right. From having a quick look at the people that I follow on Instagram, I can see that most of them average over 600 pictures uploaded (myself included), but I wonder how many of these photos make up a part of their home decor? By this I mean, how many of these people actually have physical copies of their photographs in their homes, offices, cars, wallets etc. I'd take a guess at very few." 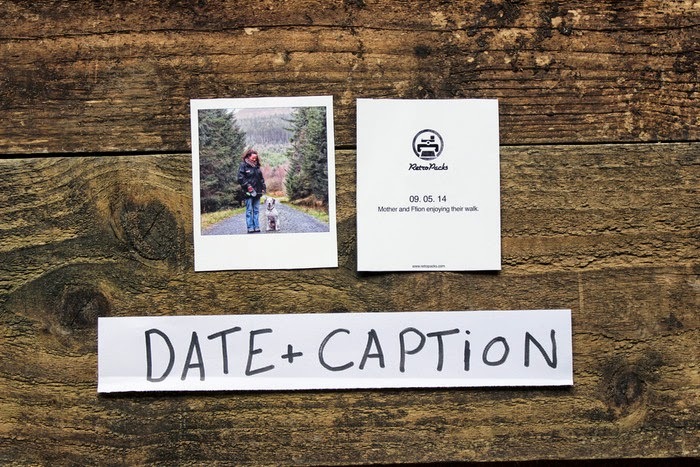 Each box is hand stamped with the Retro Packs logo and contains three of your favourite Instagram photos- these can be your most liked, most commented or your own pick of your photos! 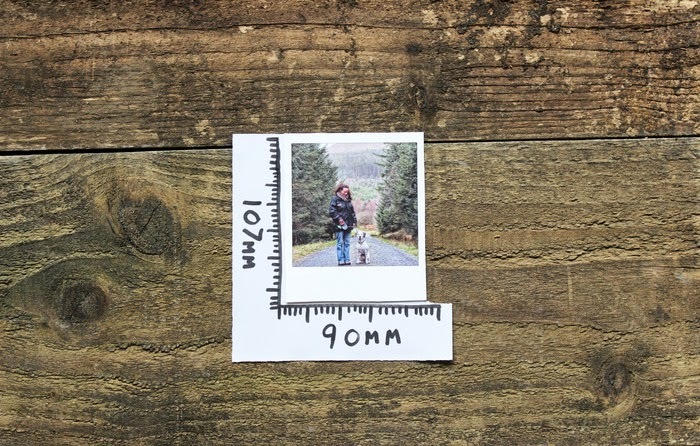 All of the photos are printed on 107x90mm high quality paper with a border that allows you to write your own little comment or leave blank. On the back is the Retro Packs logo, the date you uploaded the photo and the caption you used when uploading it to Instagram! Even stuff like labelling your shoe boxes so your fav shoes are easier to find, or documenting your OOTD's in your wardrobe so give you inspiration on those busy mornings! How lovely would it be to get a surprise each month- if you choose the option of getting your photos randomly selected by Retro Pack's I can imagine getting your parcel and then having a little moment when looking at your three photos- reminiscing on the moment it was taken and the story behind it. RetroPacks is also letterbox friendly and packaged in recyclable packaging. If you have any comments/suggestions please comment below and I'll pass them on to him!